541 days is a long time. And it’s how long Belgium went without any elected government before December 2011. It’s no wonder – through the wonders of proportional representation, 11 parties split Belgium’s 150 seats, with no group controlling more than 27. Backroom deal after backroom deal was tried and failed – no one could herd the fringe party cats to get to a governing majority. So for 77 weeks, Belgium was rudderless. Belgium, already heavily in debt, saw a credit downgrade during that time, and that economic crisis finally forced 6 parties to come together. 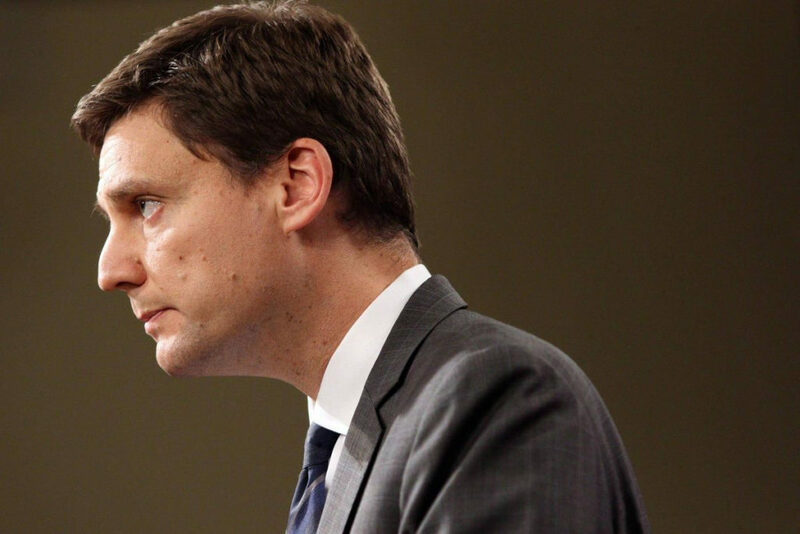 Share this post – David Eby’s draconian, anti-free speech rules won’t allow us to advertise it, but individuals can share it as much as they like. Let’s make sure every British Columbian sees it. BURNABY – Today’s 336-page Project Labour Agreement (PLA), released by the provincial government, confirms what the Independent Contractors and Businesses Association (ICBA) has been warning about for weeks: The Horgan government has sold out taxpayers to the Building Trades unions that gave the NDP millions. The PLA drags the B.C. construction industry back to the days when union bosses controlled construction work. Today, 85 per cent of B.C.’s quarter million men and women in construction have chosen not to be affiliated with the NDP’s Building Trades unions, but they will be forced to join those NDP-approved unions and pay them dues and other fees in order to work on taxpayer-funded projects. The PLA includes 32 cents per person-hour in payments to unions for various funds, the most shocking of which is a 25 cent per person-hour payment for “union administration.” ICBA believes this will net the unions millions of dollars – plus whatever workers are forced to pay in dues, benefit contributions, pension contributions, initiation fees, training fees and whatever else the Building Trades mandate. The agreement also makes it clear that the Building Trades unions will decide who works on each part of the project – meaning companies will not have complete access to their usual employees, thus jeopardizing the safety, efficiency and productivity that comes with working with trusted colleagues who know each other and their company’s systems. The PLA stipulates minutiae such as the size of pillows and number of coat hooks in work camps, that they must have access to a movie channel, dictates that electrical workers will need to contribute toward a “library fund for Local 993”, and much, much more. BURNABY – The Independent Contractors and Businesses Association (ICBA) today joined eight other business and labour organizations in signing a letter to John Horgan, calling on the NDP Premier to abandon his plan to create a restrictive and regressive union-only monopoly on taxpayer-funded infrastructure projects. ICBA joined the BC Chamber of Commerce, Canadian Federation of Independent Business, CLAC, Canada West Construction Union, Greater Vancouver Board of Trade, Progressive Contractors Association, Surrey Board of Trade and Vancouver Regional Construction Association in a call for Horgan to stop his attempt to end fair, open and transparent procurement in public projects. Under Horgan’s plan, anyone working on a provincial government construction project will be forced to join one of his NDP-approved Building Trades Unions, the same unions have donated millions of dollars to the NDP over the past few elections. The open letter notes that the additional bureaucracy it takes to tilt the playing field to Horgan’s union donors could cost taxpayers as much as $4.8 billion more in construction costs – nearly $4,000 for every family in the province. VANCOUVER – The Independent Contractors and Businesses Association (ICBA) has taken the next step and filed for an injunction in B.C. 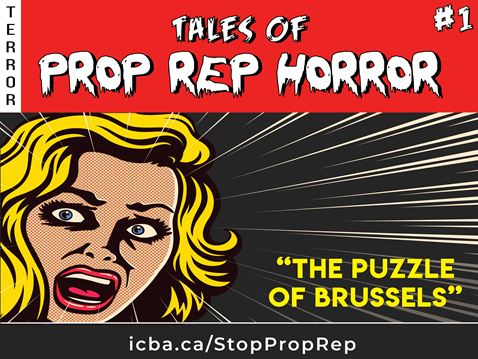 Supreme Court asking that the referendum on proportional representation be suspended until the ICBA’s challenge to the legality of the referendum, and to the process established by the NDP government limiting public expression during the referendum process, can be determined. In the first meeting before Justice Gropper on July 7, the government asked for more time to consider the issues raised in ICBA’s original court petition. The two previous referenda on electoral reform in 2005 and 2009 were held at the same time as the provincial election and the proposals were debated extensively in the years leading up to the vote. In this case, the NDP Government has decided to conduct the referendum by mail-in ballot in the fall following the municipal elections that will be held across the province. ICBA states in its application for an injunction that there are times when governments do not act in the broader public interest and when that occurs, the actions of government are rightly curtailed and corrected by the courts. “The courts are the last resort to protect the fundamental rights of citizens seeking relief from governments blinded by partisan imperatives,” said Gardner. The court previously indicated it would be willing to hear arguments for an injunction on August 7. The Rural-Urban prop rep option, which is not in existence anywhere in the world, violates sections 3 and 15 of the Charter as it creates two different electoral systems that would operate simultaneously, which demonstrates the unreasonableness of proceeding with a binding referendum before a full, open, and transparent debate. For the full text of ICBA’s application for an injunction, click HERE and to read the original petition, click HERE. Does your office use Bluebeam Revu? This award-winning software is used by some of the largest construction companies in the world and our training department wants to teach you how to use it! We have three courses coming up in Burnaby that will help you expedite the review and approval process between team members or clients, quickly and easily. We’re starting with Bluebeam Revu Basics on August 22, which teaches you the fundamentals of the software, including an introduction to the interface, navigation and profiles, and modules on the markup tools, PDF creation, document management and setup and much more! You’ll also earn 1 Gold Seal Credit and 7.5 Group A CPD Points from BC Housing. On August 23, we’re offering Document Control with Bluebeam Revu. This full-day workshop will give you the knowledge and skills to take plain PDF construction documents and create smart PDFs that can give project teams accurate and up-to-date information at all times. You’ll also earn 1 Gold Seal Credit and 7 Group A CPD Points from BC Housing for this session! We’re rounding out the week with Bluebeam Revu Advanced on August 24. You’ll learn about the advanced features of the software, including customizing the interface, advanced hyperlinking, change order management and much more. This course offers 1 Gold Seal Credit. Interested in these courses or any of our other sessions? Register at www.icba.ca/training. 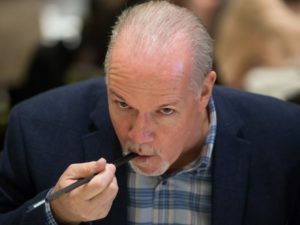 We’re at the one-year anniversary of the NDP’s rise to power in B.C., and Maclean Kay and Jordan Bateman break down the highlights and lowlights. So many lowlights. Plus a little Surrey talk, Claire Trevena’s blacktop politics that would make Flyin’ Phil Gaglardi blush, and more. We’re going back to basics! Our Training Department wants to give you a solid foundation in a fundamental skill when it comes to working on a construction project: reading blueprints! ICBA offers two blueprint-related courses; Introduction to Blueprint Reading and Civil Blueprint Reading. We have sessions of both coming up this year! Our next Introduction to Blueprint Reading course is in Burnaby on July 27; don’t miss your chance to register! You’ll learn how to read sets of residential and commercial blueprints, making this course suitable for all construction professionals. Among the topics covered are the design process and the role of design professionals, architectural and engineering scales, understanding specifications, and layout basics. We’re offering several more sessions of this workshop in Burnaby and Abbotsford later this year as well. You’ll earn 1 Gold Seal Credit and 7 Group A CPD Points from BC Housing. Our Civil Blueprint Reading course will take place December 17 in Burnaby, and teaches participants how to read a set of civil blueprints, drawing specifications and general notes. Plus, you’ll earn 1 Gold Seal Credit! For full course descriptions and online registration, visit www.icba.ca/training. VANCOUVER – The B.C. Government’s delay tactics trying to slow down a court challenge of David Eby’s proportional representation referendum process are disappointing and harm the public interest, said the Independent Contractors and Businesses Association (ICBA) today. ICBA is challenging the referendum process, saying it violates the Canadian Charter of Rights and Freedoms. Today in B.C. Supreme Court in Vancouver, lawyers for the Attorney General were successful in getting hearings pushed all the way to September, just weeks before voting is set to begin Oct. 22. The Rural-Urban prop rep option, which is not in existence anywhere in the world, violates sections 3 and 15 of the Charter as it creates two different electoral systems that would operate simultaneously. For the full text of ICBA’s challenge, click HERE. The NDP claim today’s “community benefit agreement” announcement is about getting more people into construction. “Anyone wanting to work on the Pattullo and other public infrastructure projects will have to sign up with the NDP-run hiring hall. Within 30 days of employment on a given job site, any non-union worker — or any member of a union not in partnership with the NDP — will be required to join an approved union for the duration of the project. That’s about putting tens of millions of dollars in forced union dues, benefits payments, training fees, and uncollectable pension payments into the failing Building Trades unions. It’s about repaying them for the hundreds of thousands of dollars they’ve given the NDP over the years. It’s about gouging the taxpayer to prop up a failing union model that now represents fewer than 15% of construction workers. It’s disgusting. If the unions want work, compete to get it in an open, fair, transparent bidding process. But they can’t – and this morning their NDP allies tried to hide the truth from taxpayers. BURNABY – In a cynical effort to pay back his Building Trades union supporters and donors, Premier John Horgan is reviving an obsolete, expensive, highly bureaucratic way of building the Pattullo Bridge and other vital infrastructure, said the Independent Contractors and Businesses Association (ICBA) today. Horgan’s model is built on the 1990s Vancouver Island Highway project, which saw workers forced to join unions, get hired through union hiring halls and pay union dues. This drove up labour costs by 40%, according to a study done for the Vancouver Board of Trade at the time. ICBA is the single largest sponsor of trades apprentices in British Columbia, with more than 1,200 men and women going through the certification process. For a backgrounder outlining ICBA concerns about Horgan’s project labour agreements, click HERE.